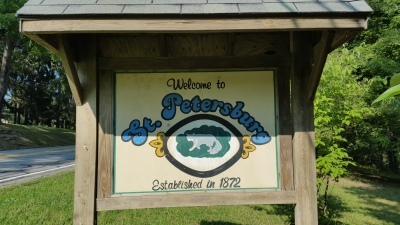 St. Petersburg is located in western Clarion County at 41°09′39″N 79°39′14″W. Pennsylvania Route 58 passes through the borough, leading 2 miles (3 km) southwest to Foxburg on the Allegheny River and east 7 miles (11 km) to Callensburg on the Clarion River. Pennsylvania Route 478 leads northwest 2 miles (3 km) to Interstate 80 east of Emlenton. As of the census of 2010, there were 400 people, 164 households, and 115 families residing in the borough. Held On The First Tuesday Of Each Month At 7:00 PM in the Borough Office Building.